Today on Pet Finder, meet Oakley, a sweet guy that knows his stuff and is looking for a forever home where he can be your only pet. loves. Oakley is looking for a forever home that he can call home! 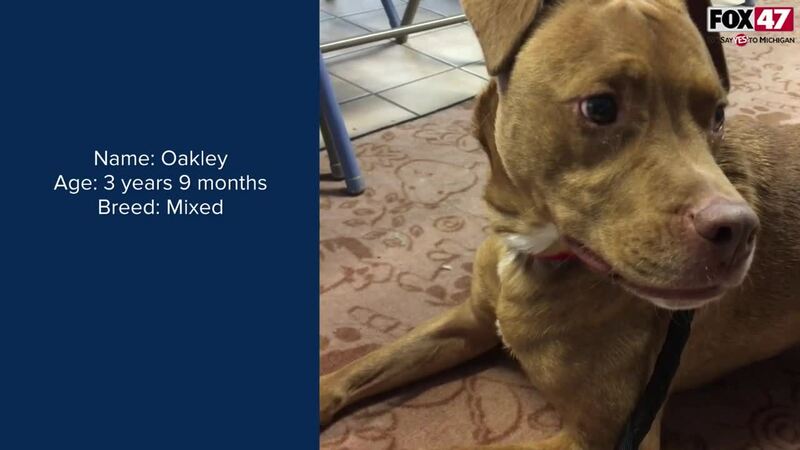 LANSING, Mich. —Today on Pet Finder, meet Oakley, a sweet guy that knows his stuff and is looking for a forever home where he can be your only pet. loves. Oakley is looking for a forever home that he can call home!